What??? It's still cold outside! I woke up and it's 32° and it's April … how can that be?? 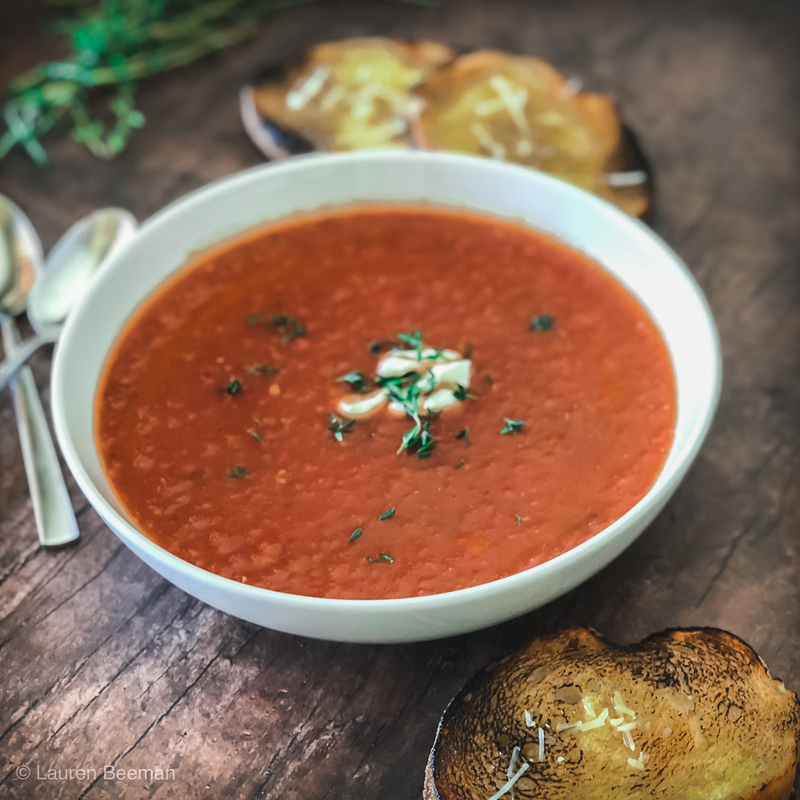 Welp, today I will be making a big batch of this roasted tomato soup to warm my soul…and you just might wanna whip up a batch too. This soup is awesome because it still tastes fresh and springy, but yet warm and comforting on this chilly little day. Also, roasting tomatoes in delicious olive oil (Cervasi of course) brings out and intensifies the tomato-y goodness….and can even make those winter store bought tomatoes delicious!